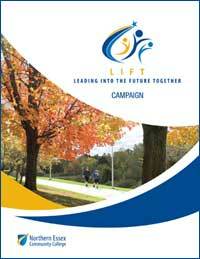 NECC’s Leading Into the Future Together (LIFT) Campaign is a commitment to the betterment of our college community. Your support will help lift NECC as we strive to meet the needs of all our students and the communities we serve. Creation of the NECC Promise, a program that will help bridge the gap between sources of federal and state student financial aid and the cost of community college education. Online Donation Form: Make a one-time gift by using our Online Donation Form here. 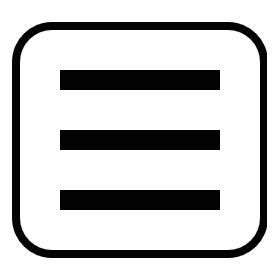 Payroll Deduction: Make a specified pledge and pay it out in installments via payroll deduction. The money will be withdrawn from your bi-weekly paycheck automatically. View Amounts and Options Here. Capital Campaign Pledge Form: Complete, print and submit a paper pledge form to the IA office. Cash or check: Drop off or mail a check to the IA office at your convenience. It is with your support that we will maximize our ability to lift NECC’s students to great new heights. Help us reach a 100 percent participation rate from our college family. Join the campaign effort today! All gifts will be acknowledged as part of our donor wall. Naming opportunities are available for faculty and staff for gifts and pledges of $1,000 or more. The Office of Institutional Advancement along with NECC’s Employee Capital Campaign Committee thanks you for your support. Executive Director, NECC Foundation Inc.
Bentley Library, A317 or call at x3624.